so, here is our very first article/experiment.. tadaaam. Cool guys from BeanBros.co recently asked us if we would like to play and experiment the very first batch of coffee they were about to send by post to their monthly subscribers. How nice is that. I immediately contacted Charlene De Buysere as we were already talking about to expand the OK Coffee team with her and other fellow coffee mates (to be discovered soon). Charlene is a super skilled barista, multiple Belgian champion (barista 2014, brewers 2011…) and also world Aeropress champion in 2012. 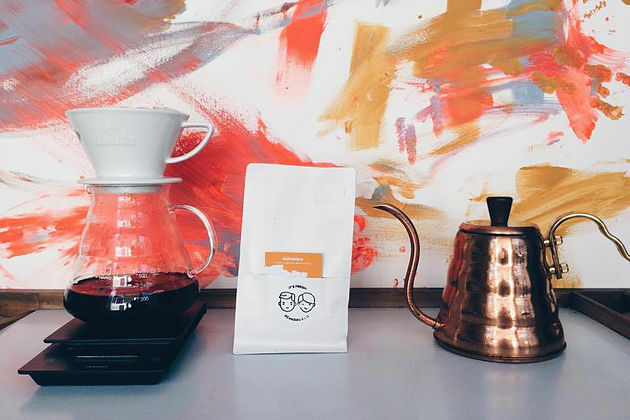 Coffees from this very first batch are roasted by talented La Cabra coffee roasters. Next batch will be Da Matteo. This is such a cool coffee. Serve this coffee to people that don’t know anything about specialty coffee, they’ll say its tea! A good earl grey tea with a slice of lemon. I feel a delicate sweet note with orange peel. There is a complex citrus fruit taste and a balanced finish. Anyone in favor of this seasons fruit will love this one! In the fragrance it has berries and regarding the flavor, a fruity nearly ripe prune and rhubarb taste. It has a sweet aftertaste and a lemon acidity. 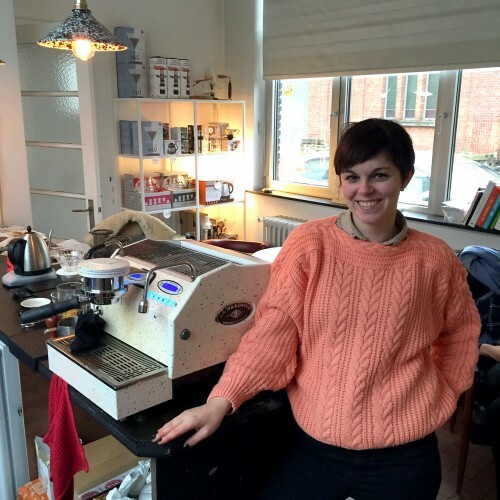 Charlene De Buysere Founder at Creative Coffee Consultancy, barista at De Superette Ghent, passion for food and design.